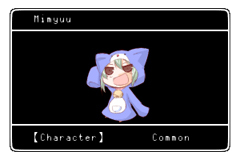 Copyright(C) OrangeJuice / Fruitbat Factory, Ltd. 2015 All Rights Reserved. Thank you for purchasing 200% Mixed Juice. Please read the manual so that you can enjoy the game to its fullest. There may be cases in which the game may not properly run even if system requirements are met. Furthermore, the above requirements are simply for reference and there may be cases where the game may run even if the requirements have not been met. Save data will be saved under "My Documents/Fruitbat Factory/200% Mixed Juice!" This folder will remain after uninstalling the game. Please delete it manually if it is not needed anymore. Continue the game from a saved file. Refer to "Multiplayer" for more detailed information. Refer to "Game Options" for more detailed information. Configure game settings from the Settings menu on the main menu. 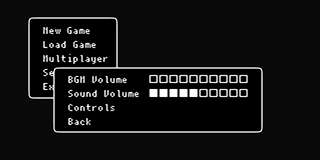 Map both keyboard assignations and buttons on the game controller. Please refer to "Controls" for more detailed information. Game data is saved automatically. so there is no need for the player to manually save. You may control the game via either a gamepad or keyboard. Button configuration settings may be found in the Settings menu. 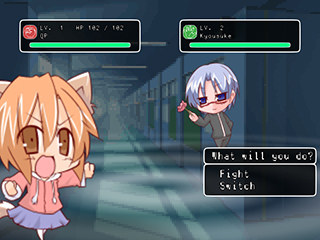 The game consists of cutscenes, map phases, and battle phases. Please move to the appropriate location to progress the story, which can be discovered from information during cutscenes. You may also re-visit locations you have been to before to battle enemies again in order to prepare for stronger enemies. You can obtain new allies by getting new cards. 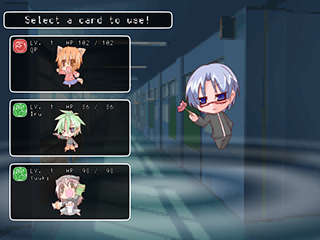 Cards can be obtained by progressing the story or purchasing them from an in-game vending machine. There are two types of cards. These are cards that can participate in Battle. Detailed information on their abilities is written below. They become stronger as they gain experience in battle. The maximum level is 30. Rarity Displays the rarity of the card. Type Displays the card type. There are three types: Power, Speed, and Technique. HP When this value drops to 0 from damage, the character faints. Attack This value affects the damage dealt to the opponent. Defense This value affects how much damage is decreased when attacked by the opponent. Dexterity This value affects the accuracy of attacks. Speed This value affects the character's evasion. Luck This value affects an attack's critical rate. The purpose of these cards is unknown. It may be revealed as the story progresses. As the story progresses, you will obtain access to a vending machine called "Mixdus". You will not be able to tell which card you will receive when using it. 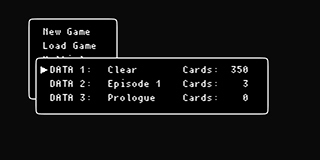 The types of cards that you have access to will increase as the story progresses. There may be very rare cards in the machine that rarely come out. 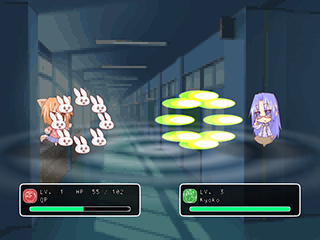 As you progress in the story, you will encounter enemies and battle them! Matches are 1 vs 1, and the team that first eliminates all members of the opponent's team wins. In case of a tie, the player loses. Below is a description of the flow of battle. 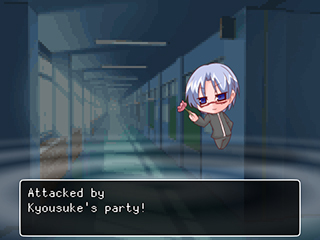 If there is nobody on the field, you select a character from your party to enter the field. By rolling dice, you gain SP equivalent to the number on the dice. SP is used for skills. Each team starts the battle with 3 SP. SP does not carry over to the next battle. An action must be selected each turn. and skills specific to each character. Common skills do not expend SP. Common skills are listed below. Switch Switch with another character. Defend Defend for the turn, reducing damage taken. Evade Focus on evasion for the turn, increasing evasion rate. A successful evasion allows you to avoid all damage. 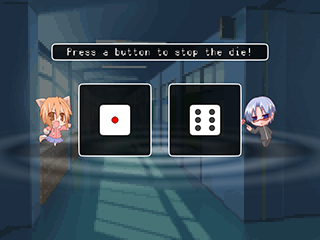 Each player's character takes an action during a turn. First move priority is based on the type of action taken. The priority levels are listed below. If both characters take the same type of action, both act at the same time. The priority list is very crucial (especially the last three). Remembering it would be very helpful. If a character's HP drops to 0 after an action, that character will faint. 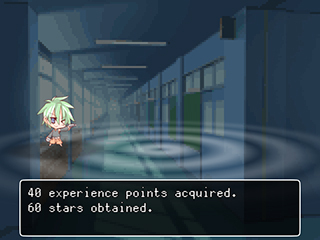 When you win a battle, you will gain EXP and Stars (money). The same amount of EXP goes to all characters, even if fainted. If you lost, it will count as a game over and you will return to the main menu. 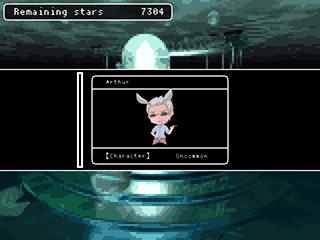 "Skills" refer to commands that characters are able to use. You can confirm the specifics of each skill by select "View Cards" while on the map screen. 1. List of skills that can be used. 2. The amount of SP each skill expends. 3. The skill's type and descriptive text. New skills may be learned, or current skills may change when a character levels up. Don't forget to check your skills every once in a while. The types of skills are listed below. Boost Increases one's own stats. Support Enhances self with special effects. Disrupt Applies a negative status effect to the opponent. Single Hit "Single Hit" type attack. Amongst the attack types, it has the highest priority, but somewhat low accuracy. 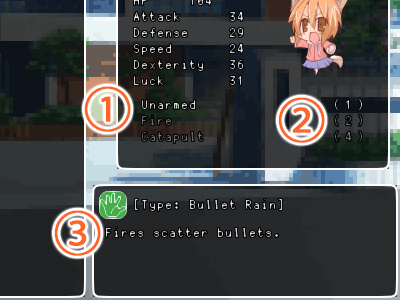 Bullet Rain "Bullet Rain" type attack. A low power attack with very high accuracy. Close Combat "Close Combat" type attack. You will always move last, but many attacks of this type are powerful. Automatic Certain skills will activate their effect when specific conditions are met. 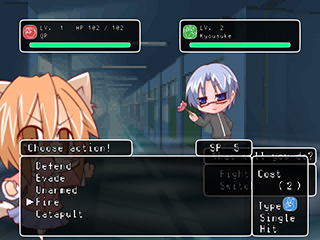 Some types of attacks are more effective than others against specific types of characters. If more effective, they will deal more damage and have higher accuracy, and the opposite if ineffective. Attack type effectiveness against each character type is listed below. Character types and attack types are represented by rock paper scissor icons. Use these icons as a reference to the effectiveness of each attack. Damage from attacks can also increase from critical hits. When a critical hit occurs, a higher pitched sound effect is used. Critical hit relies on "Luck" and the rate differs for each skill. You can battle other players online. You may access multiplayer mode after obtaining 3 unique character cards. You may select from five tiers when in multiplayer. Level 1 Tier Battle with characters at level 1 only. If characters are higher than level 1, they will be scaled down to level 1. Level 5 Tier Battle with characters at level 5 or lower. If characters are higher than level 5, they will be scaled down to level 5. Level 10 Tier Battle with characters at level 10 or lower. If characters are higher than level 10, they will be scaled down to level 10. Level 20 Tier Battle with characters at level 20 or lower. If characters are higher than level 20, they will be scaled down to level 20. Free Tier Battle without level limits. Select tiers based on the growth of your characters. results may different based on tier even during a mirror match. In addition, you can limit cards by rarity. The options are Common, Uncommon, Rare or Free (any rarity). When one of these is selected, you can use cards up to the selected rarity. Multiplayer games are played under your own responsibility. Some questions that may come up during gameplay will be answered here. Q. How do I carry over my save data to a new game? and start again from the beginning. 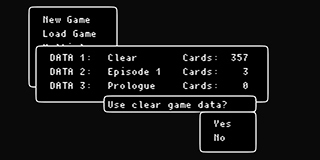 From the main menu, select in this order: "New Game"-"Clear"-"Use clear game data? (Yes)"
Q. I want to reset my save data. You may reset your save data by manually deleting the save files automatically created. (Please refer to "Save Data Location" for specific location. Q. The game does not run. It crashes at a certain point. The game will not run unless DirectX is installed. -Update DirectX to the latest version. -Reconfigure your hardware (especially video card) settings. For example, changing your video card settings from "High Quality" to "High Performance" may make the game run faster. However, there are some video cards without these settings. Q. I don't understand system requirements. PCs purchased from the past 3~4 years should run the game without any issues. However, laptops and PCs from certain manufacturers may not be able to run the game. If it does not run properly, visit the manufacturer's website and search for the latest drivers. in such a case please check if the manufacturer has provided a solution. so if you cannot manage a solution, please contact support. We will provide as much support as possible. If your game does not run properly, contact support. so we may not be able to provide support for every user. We also appreciate any comments or opinions. 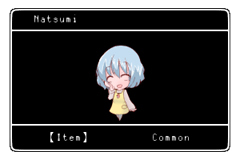 The rights of this game belong to Orange Juice and Fruitbat Factory. It is forbidden to modify or copy and distribute this game and its data to third parties. You may freely post screenshots or information for guides.